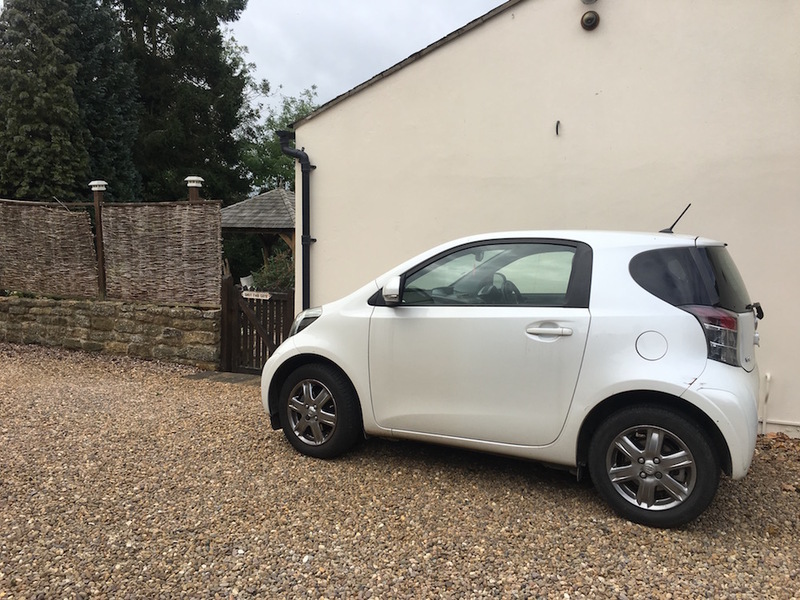 When you’ve stayed in a few London Airbnbs, it’s such a lovely change to drive to the countryside (Newnham Village near Daventry) and rock up to a delight like this. 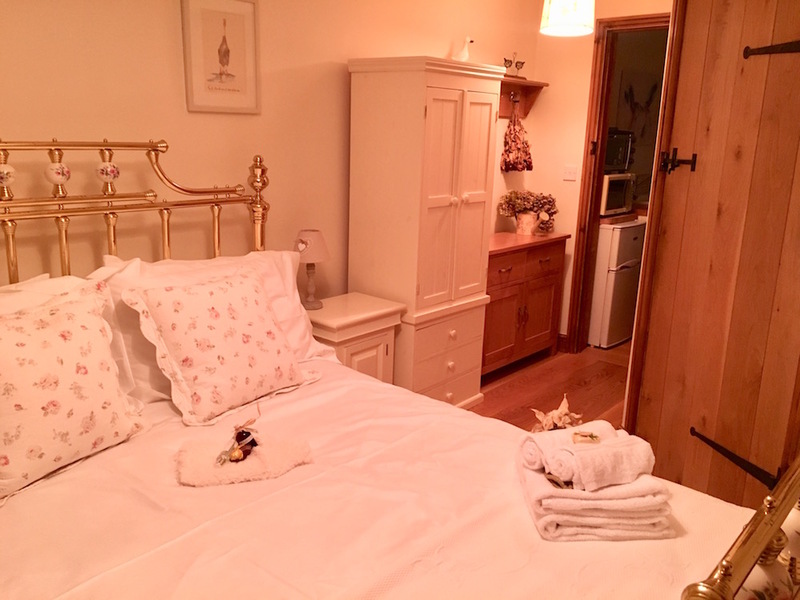 It’s a self contained, GORJUS one bedroom cottage (self contained is always a winner for me), with ensuite bathroom and king size bed that is beautifully decorated throughout (it really is very, very pretty, much moreso than the photographs do it justice). Karen King, the owner, is a dream to deal with. She lives and breathes hospitality and just enjoys making people feel at home and relaxed. She’s already thinking seasonal treats like christmas chutney and pear liqueur in addition to the blackberry gin she does, and she’s just started to make her own confectionery – fudge, truffles, cinder toffee – and ice cream that’s from the frozen fruits that she has kept from the gardens (I know right?!). Did you know you needed bubbles and some home made shortbread hearts dipped in chocolate, romantic pillow mist spray and chocolates on the bed? 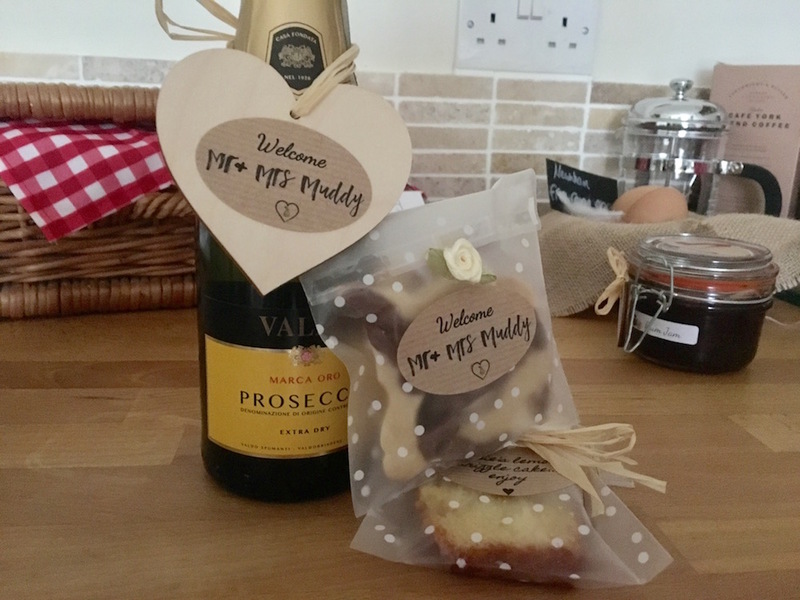 We also got bespoke Mr & Mrs Muddy Stilettos shaped shortbreads and freshly laid eggs, it really is totally idyllic, but also great from a practical level (especially handy for longer stays). 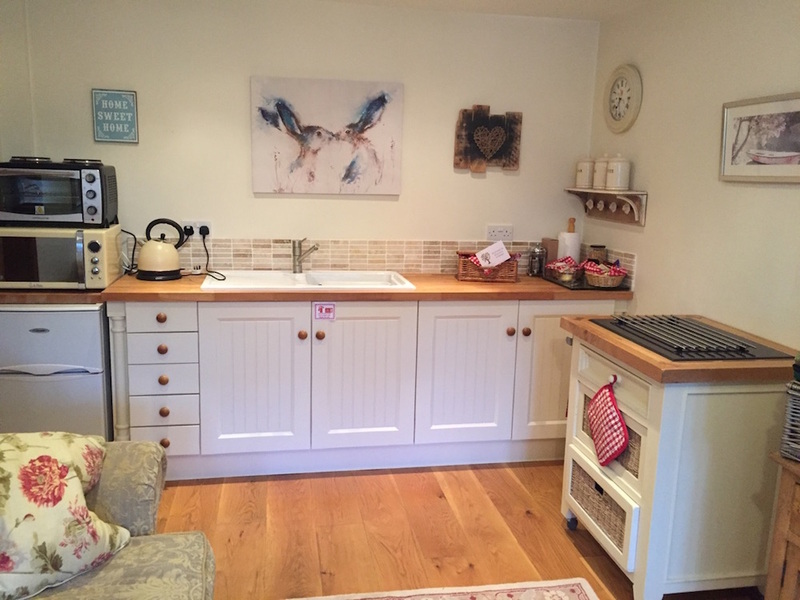 There is a tasteful, well equipped kitchen area with a microwave, electric hob, oven/grill, slow cooker and toaster. 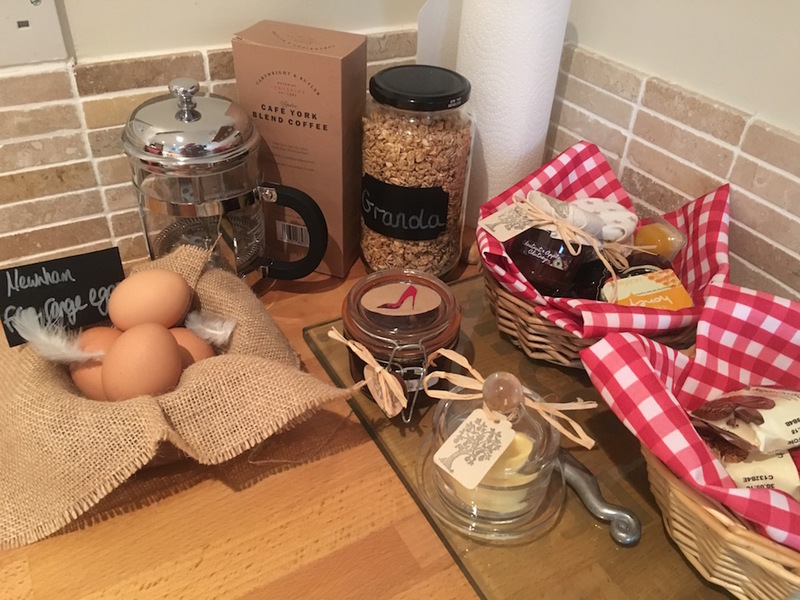 Karen always makes sure you have some milk and a small welcome pack (croissants/bread, butter, preserves, yoghurt, granola and fruit). There’s tea and coffee (instant AND filter, wahoo) and also sliced bread in the freezer so can you have fresh toast whenever you like with a lovely selection of preserves. 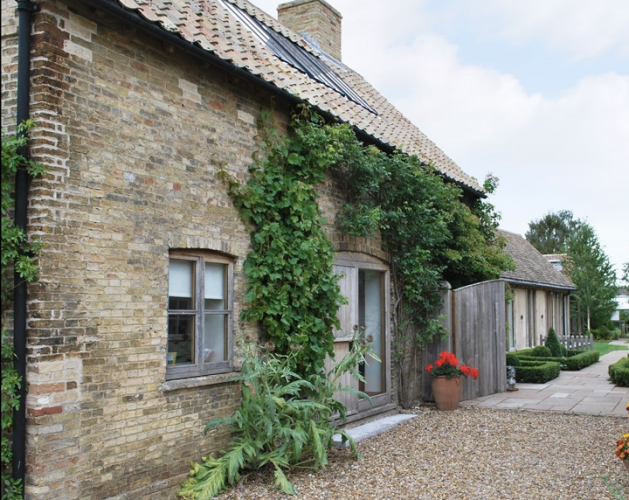 The living/dining area has a dining table and chairs for some intimate dining by candle light, or stretch out on the sofa after a days walking with a well earned cuppa (or wine in our case) and a take away from the pub next door. Karen has an agreement with the Romer Arms (Maria & David – it’s also called Maria’s Kitchen) that if you would like to take your supper/lunch back to the Annex to eat, they will happily plate something up for you? 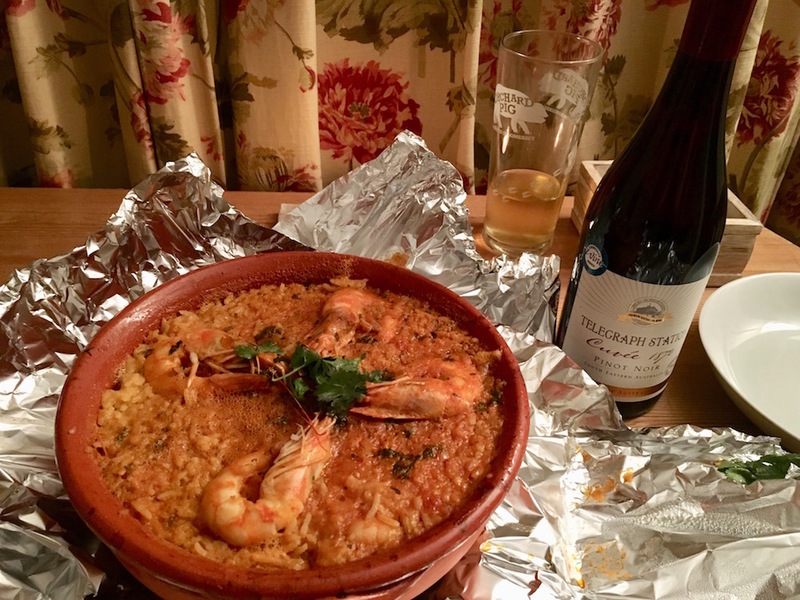 Karen says she often gets some grilled Tiger Prawns, a portion of chips and a salad (nom), but we plumped for an absolutely awesome fish stew! The pub is more of a café than a traditional pub but we managed a couple of pints and had a thoroughly nice time before our meal. 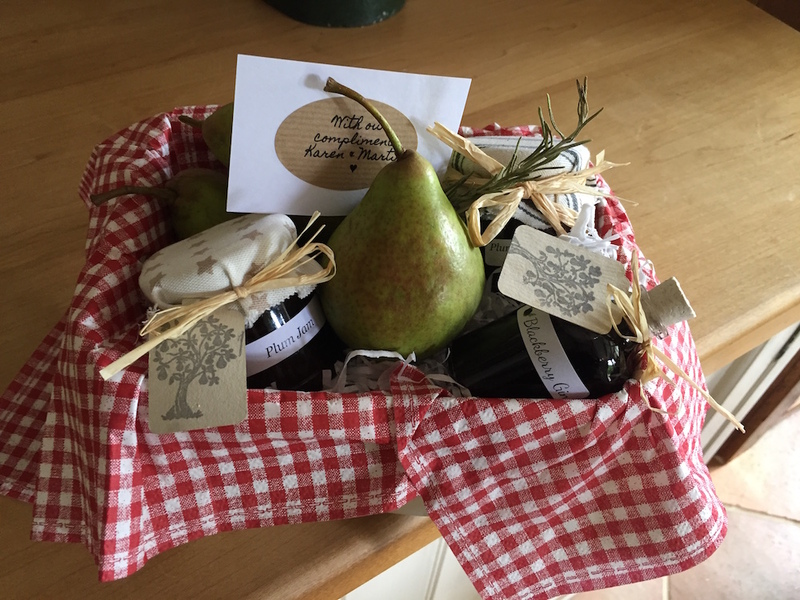 There are loads of other local dining options though (Karen keeps information on the sideboard with her personal recommendations – The Plough Inn, Everdon and The Malsters Country Pub, Badby are on there amongst others). For the summer months, there is a small bistro table and patio chairs just outside the annex, so alfresco is an option too. There’s guest access and off street parking on the paved area and Karen always leaves you her mobile number so you can contact her anytime. 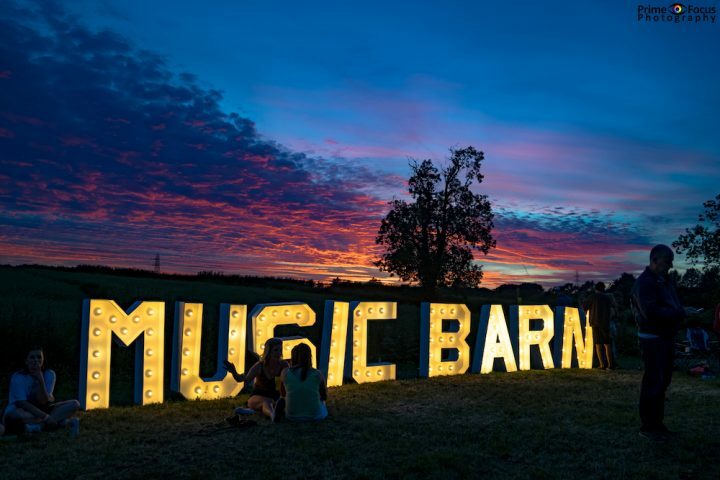 If you are feeling adventurous, pack yourselves up with a picnic (picnic basket and blanket inside) and head off to Badby Woods (the bluebells are breath taking in Spring). 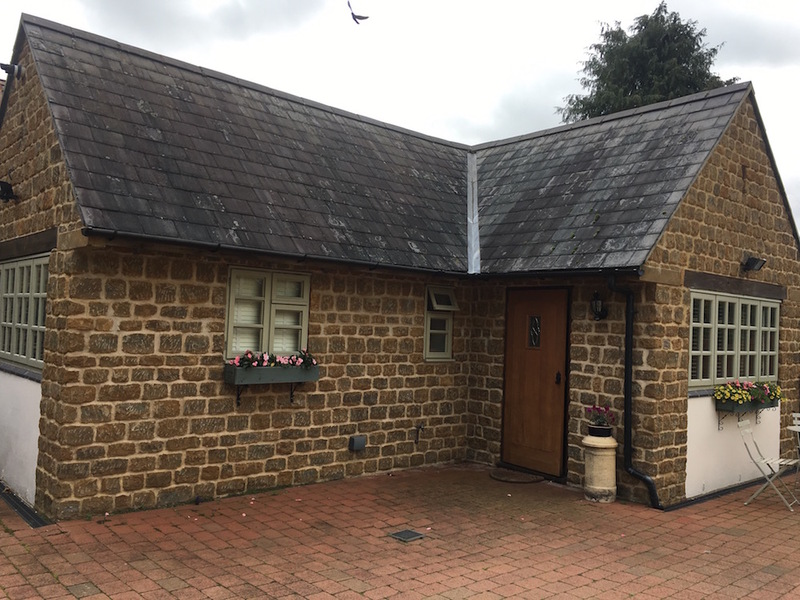 There’s also Everdon Stubbs or Fawsley Park – these are nice easy walks with access to either Fawsley Hall or the village pubs for further refreshment (always this, and Fawsley Hall is a total Muddy fave). There’s a walking map on the sideboard for a great circular walk and details/recommendations for the pubs; all pretty perfect really!